Asked to describe her works of fiction, Dayton, Ohio, author Michelle Bolanger recalls a phrase she’d heard before. A full-time administrative assistant who’s been thinking up stories “since I was old enough to do so,” Bolanger is the author of two stand-alone works she calls the “The Challenged Faith Novels” and three novels in her Cotiere Chronicles series. 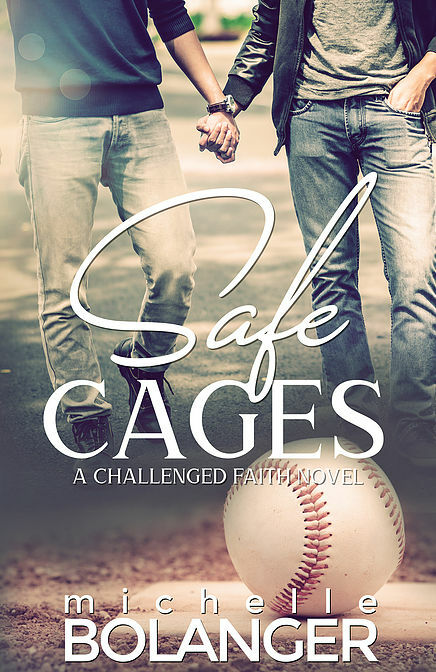 “Saving Detroit” and “Safe Cages” comprise the “Challenged Faith Novels.” Each presents “real-life issues that Christians and non-Christians struggle with,” Bolanger explains. How does this published author motivate herself to begin the act of writing? Once she’s completed her first draft, the author relies on “a team of what I call ‘alpha’ readers who read over most of the story and give their input for changes or sections that need work. Then it goes to my content -- or developmental -- editor, who zeroes in on the parts of the story that need to be re-written, removed or corrected,” she says. What’s Bolanger’s advice for aspiring writers? Michelle Bolanger is one of over 25 local independently published authors who are expected to attend the ReadLOCAL Indie Author Fair this Saturday, September 29, from 10 a.m. to noon at MidPointe Library 9363 Centre Pointe Drive, West Chester, Ohio. ReadLOCAL gives readers a chance to meet authors from the immediate area, buy books and have them signed by the authors. There is no admission fee.